The Mach1 FIA9 chassis scores by his outstanding performance on all kinds of situations. It is easy to set up on different grip levels and weather conditions as shows the driver a great feedback on setup changes. 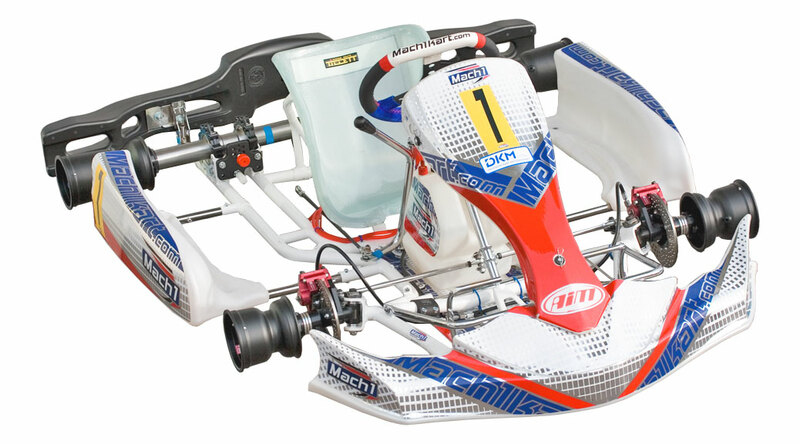 Suits perfectly for all junior and senior categories, like Rotax, X30, KF, KZ1/2 and others. The kart has unique features, like e.g. Sniper Adjuster for caster/camber setup, innovative HRP Vario steering rod with eccentric pills. Front and rear ride height can be changed in three positions. With the help of two front torsion bars, the steering behavior can be set up individual and on the edge.